TORONTO, ON – Burdock has announced that it is about to release its “third love child” with Niagara Region winery Pearl Morissette. 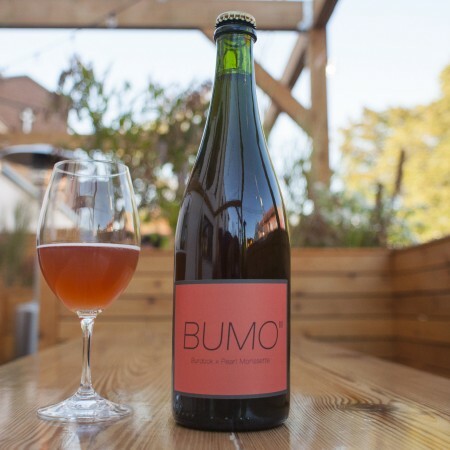 BUMO III shares the same blend as BUMO II – 30% pinot noir pressed wine + 10% pinot rose + 60% farmhouse saison – except, this iteration spent 4 months in stainless tank and was tenderly exposed to oxygen. This beer has been bottle conditioning for 6 months and is drinking beautifully. BUMO III will be released today (October 6th) at 5:00 PM in a limited run of approximately 1000 x 750 ml bottles exclusively in the Burdock retail store while supplies last.